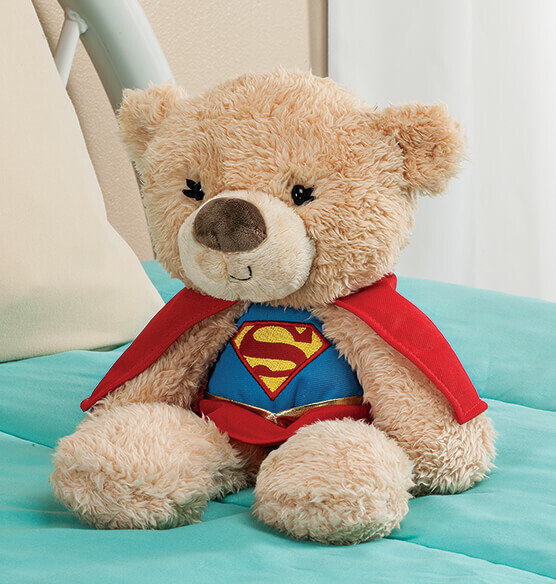 GUND's plush Personalized Supergirl Teddy Bear is ready to save the world and sweeten playtime— dressed as DC Universe's beloved Super Girl. 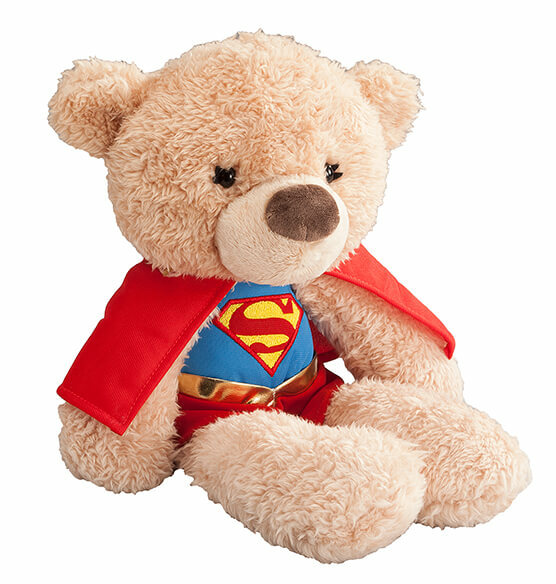 The plush, snuggly superhero teddy bear with floppy arms and legs wears an accurate superhero costume, complete with the famous red "S" and bright red cape. 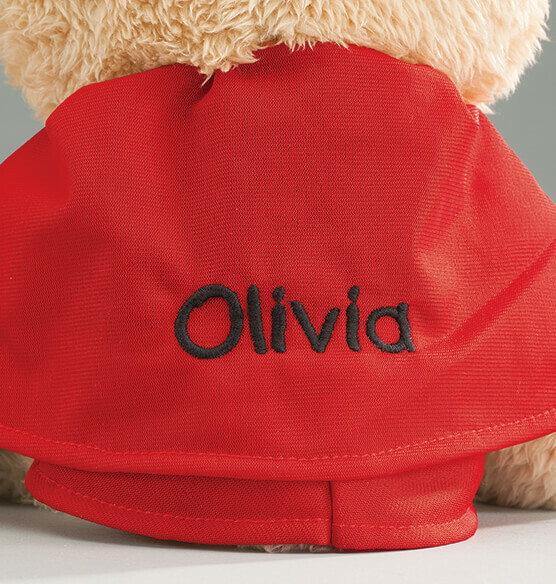 We'll embroider any name to the back of that cape, creating a custom keepsake for kids and comic book enthusiasts of all ages. Ages 1 and up.